Are you ready to start enjoying the benefits Natural Gas and explore the lifestyle options it provides? Are you ready to become more energy efficient and possibly lower your energy costs? 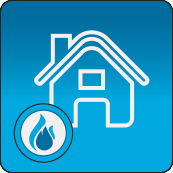 Find out how Natural Gas could save you money and improve your lifestyle when connected to your home. One fuel, many benefits. 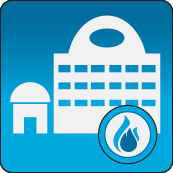 Natural Gas can play a key role in keeping businesses running. From restaurants to hospitals, manufacturing and even commercial buildings, Natural Gas is one of Australia’s most important forms of energy. Connecting to Natural Gas can be easy. Click here to find out what steps to take in order to get connected to the Allgas network. Natural Gas, what’s it all about? With Natural Gas, you’ll never run out of fuel. Underground pipelines mean that protection of supply is significantly increased during storms or other weather events, as compared to other above ground alternatives. Natural Gas does more than just stove top cooking. It can be used for water heating, heating your home, clothes drying, BBQs, and mood-setting fireplaces and heaters. 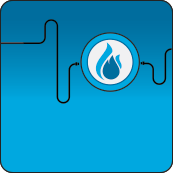 By all measures, Natural Gas is the leading energy source for the future, available today. Natural Gas estates, where are they?